Recently, one of my clients has set up the migration of his SAP system to a HANA database. Since I have made many developments on this system, I have accompanied the project in its 8 months of project duration. The result is impressive. The users were enthusiastic from the first hour. The performance of the entire system has increased significantly. In sales, where many userexits are active in the SAPMV45A, the performance leads to a significant increase in productivity. All business critical applications were tested beforehand. It turned out that the conversion to a HANA database as a whole has no effect on the SAP business scenarios. Without making changes to the ABAP Coding everything worked as usual, except now all applications ran significantly faster. Where had changes to the coding to be made? I paid particular attention to the SQL statements. But before I looked at critical SQL statements like the notorious SELECT * statements, I waited for the test results of the key users. Since there were no error messages, I also put no further effort into the search and modification of SQL statements. It turns out that in principle the SELECT statements in ABAP coding had not to be changed. Both the SAP applications as well as the customer-oriented programs ran smoothly, only considerably faster. resulted in finding the first hit in the table. At the same time as the changeover to the HANA database, SAP project management was introduced with JIRA. 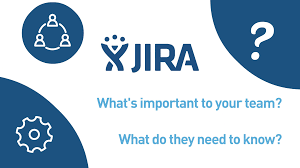 With JIRA of the Australian softwarders Atlassian an effective task and knowledge management could be used. All work steps in the HANA project were mapped as Tasks and Subtasks in JIRA, assigned to a specific agent and provided with a deadline. This eliminated the annoying, often redundant e-mail traffic. Each project employee could concentrate on his tasks. All three milestones were placed with the external outsourcing partner, which also focused on the holiday scheduling of their employees. The breaking of a milestone would have meant the shift of the productive start by a year. The faster a system was technically migrated, the more time was left for testing and any corrections. Great value was therefore put on a close temporal interlocking of patches of the system on EHP7, exchange of the database on HANA and a contemporary SPDD and SPAU adjustment.